The world as we know it is changing constantly. The traditional powers in the world are challenged by emerging powers and have to deal with new influences coming from various corners of the globe. 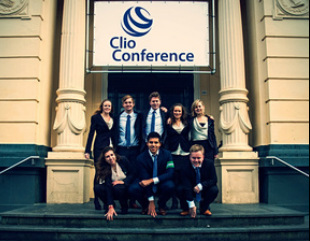 The Clio Conference of 2013 focused on the development of the BRIC countries in relation to the western world. The issues accompanying the rise of these countries were handled in light of the current dynamic political and economic systems. The conference was led by Drs. Frans Weisglas. The BRICs and "The New Scramble for Africa"